Inspired by other end-of-year posts by Denise Levenick, Judy Russell,Roberta Estes, and others, here are my Top Five Posts in 2014. This year was a turning point for genetic genealogy as it finally switched from a cottage industry to a widely accepted commercial enterprise. I can only imagine what 2015 will bring. 1. 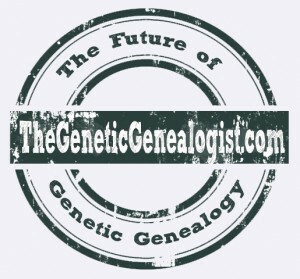 “A Review of AncestryDNA – Ancestry.com’s New Autosomal DNA Test” – this post from 2012 has received more comments than perhaps any other post on the blog. 2. “What Else Can I Do With My DNA Test Results?” – an extensive list of both free and paid third-party options for your DNA test results. 3. “Unlocking the Genealogical Secrets of the X Chromosome” – year after year this post is always one of the most viewed from the blog. ... Click to read more! I’ve written before about a poster presented by AncestryDNA at the American Society of Human Genetics 2013 annual meeting, entitled “Reconstruction of Ancestral Human Genomes from Genome-Wide DNA Matches,” and a poster presented at the 2014 meeting entitled “Reconstruction of ancestral human haplotypes using genetic and genealogical data.” In these posters, the scientists at AncestryDNA revealed their efforts to recreate portions of the genomes of an 18th century couple using sequencing information from hundreds of descendants. ... Click to read more! So GROUP 1 must be descendants of the target Lazarus kit. My grandmother has six children, twelve grandchildren, and eleven great-granchildren. Any of these 29 people are candidates for GROUP 1. Of those 29 people, I’ve tested four of the six children and one of the grandchildren (myself). Yeah, I know, I have more testing to do! ... Click to read more! My grandmother Jane died in 1984 when I was just 8 years old. I have some really great memories of her, faded with time but still filled with emotion. Bath times, spending time with her in the summer, newspaper hats, chrysanthemums. However, in addition to those memories, she gave me a very unique genetic heritage. She was from a region of the world with a high degree of admixture, and thus it is from her that I obtained my Native American mtDNA, my Native American, African American, and Spanish autosomal DNA. It is an incredibly rich and fascinating genetic legacy. In an attempt to learn more about my grandmother’s genetic heritage, I’m using GEDmatch’s new Lazarus tool to try to recreate as much of her genome as possible. Join me on the journey, and learn about this new tool. ... Click to read more! Last week I published “Small Matching Segments – Friend or Foe?” to join in the community’s conversation about the use of “small” segments of DNA, referring to segments 5 cM and smaller (although keep in mind that the term “small,” without a more specific definition, will mean different things to different people). The question that the community has been struggling with is whether small segments of DNA can be used as genealogical evidence, and if so, how they can be used. As I wrote in my post, a significant percentage of small segments are false positives, with the number at least 33% and likely much higher. In my examination and in the Durand paper I discuss, a false positive is defined as a small segment that is not shared between a child and at least one of the parents. ... Click to read more! Small Matching Segments – Friend or Foe? 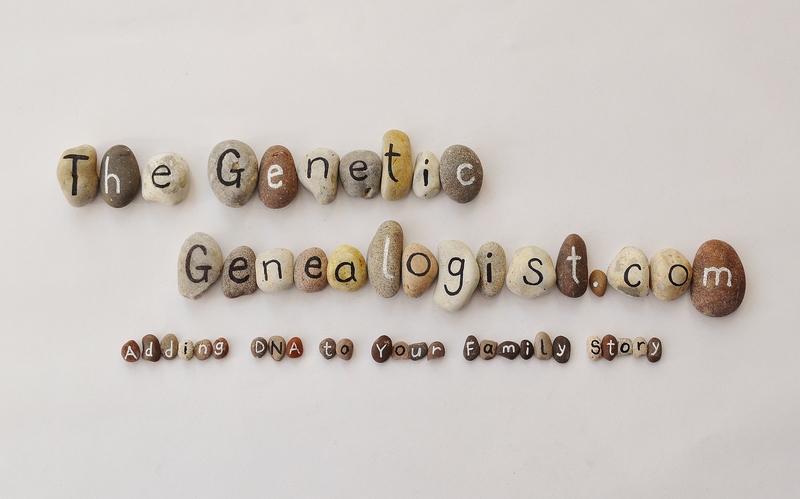 There has been a great deal of conversation in the genetic genealogy community over the past couple of weeks about the use of “small” segments of matching DNA. Typically, the term “small” refers to segments of 5 cM and smaller, although some people include segments of 7 cM or even 10 cM and smaller in the definition. The question, essentially, is whether small segments of DNA can be used as genealogical evidence, and if so, how they can be used. While it may seem at first that all shared segments of DNA could constitute genealogical evidence, unfortunately some small segments are IBS, creating “false positive” matches for reasons other than recent ancestry. These segments sometimes match because of lack of phasing, phasing errors, or a variety of other reasons. One thing, however, is clear: there is no debate in the genetic genealogy community that many small segments are false positive matches. 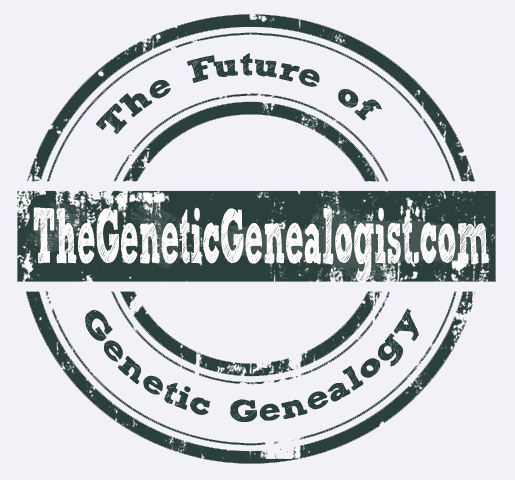 There IS debate, however, regarding the rate of false positive matches, and what that means for the use of small segments as genealogical evidence. ... Click to read more!